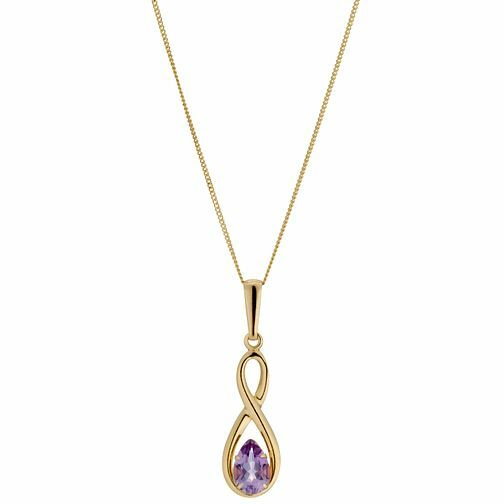 This 9ct yellow gold figure of 8 pendant is set with the amethyst, symbolising luck and health. The design also represents eternity. 9ct Yellow Gold Amethyst Figure of 8 Pendant is rated 3.5 out of 5 by 12. Rated 5 out of 5 by Anonymous from The product was given as a giftand its greatly appreciated, its destinctive and lovely. The product presents the beauty of the stone and the figure of 8 pendant makes it stand out.